On November 28, the US President-elect, Donald Trump said that 'if Cuba is unwilling to make a better deal for the Cuban people, the Cuban/American people and the US as a whole, I will terminate deal'. His tweet, which used language seemingly designed to drive a wedge between Cuba and the US and end President Obama's policy of détente, followed the death of Fidel Castro, the former President of Cuba, who passed away on November 25 at the age of 90. While Mr Trump did not specify what he intends doing, or what deal he was referring to, the US media reported that his aides said that he would, as promised during his campaign, demand the release of political prisoners held in Cuba, and push the government to allow more religious and economic freedoms. Cuba, however, has no history of responding to demands or threats, so it appears likely that Mr Trump's suggestion and his seeming lack of respect, will be robustly rejected at some time after the period of mourning for the country's former leader. 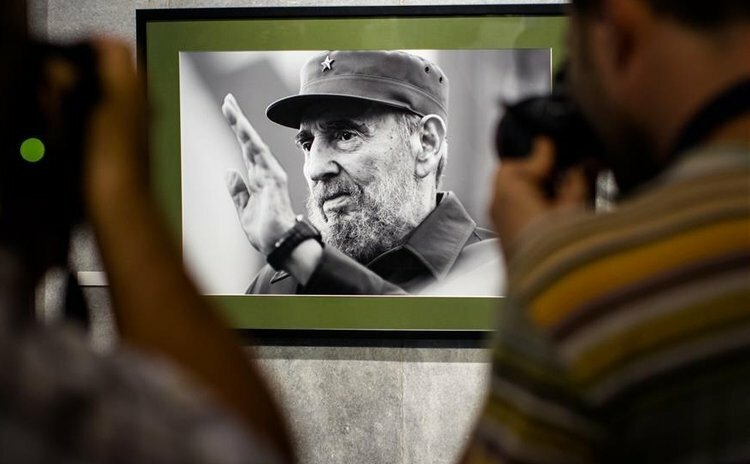 For most Cubans, Dr Castro's death marks the end of an era and a time of genuine sadness. Widely admired at home, he led a rebel army to victory in Cuba in at the age of 32 over a US backed dictatorship, then went on to deliver a range of social achievements for Cuba's poor, contributed decisively to ending colonialism in Southern Africa, and defied the power of 10 US presidents, despite the country's smallness. Although President Castro's passing is widely expected to enable greater diversity of opinion to emerge within the Cuban leadership, its coincidence with uncertainty about future relations with the US makes the pace at which this might happen now much less certain. The incoming administration's apparent interest in halting détente and substituting a transactional relationship that ignores Cuban sovereignty, suggest that the most likely Cuban response will be a consolidation of conservative thinking. Dr Castro's death also raises longer term issues about who in future will command high levels of respect and moral authority within the government and the country when, as he has indicated, Raul Castro steps down from Government in 2018, and hands over the management of the country and the process of change to the next generation. For the Caribbean too, the issue now is what lies ahead? In the region, all governments whether of the centre right or centre left paid tribute to the special role that Cuba and its former President had played in the region and internationally. Andrew Holness, Jamaica's Prime Minister caught the mood when he said "He will go down in the annals of history as one of the leaders who, though coming from a Caribbean island developing State, has had the greatest impact on world history". "Many Jamaicans still vividly remember his visits to Jamaica and his passionate speeches in defence of the right to self-determination." Mr Holness also noted that Cuba was a leading champion of strong south-south cooperation, with excellent education and health systems that had become an outstanding model for the world. But as the tributes fade, nations across Latin America and the Caribbean have begun to consider the possibility that in 2017 Cuba may become a hemispheric issue again, and as one Latin American diplomat put it, the region may have to demonstrate to Washington why including Cuba in 'the family of the Americas' has value. Put less diplomatically this seems to mean that if the US is not to lose the broad-based support that President Obama has created across the hemisphere, Latin America and the Caribbean will have to respond. Any reversal of US policy on Cuba may also change the nature of Canada's close if low key engagement. While both countries appeared cautious during a recent visit to Havana by the Canadian Prime Minister, Justin Trudeau, given Mr Trump's election, Canada may see as attractive the possibility of playing a more public role in the Americas if US-Cuba relations deteriorate. In the US itself, there is also uncertainty about what happens next in relation to the country's hoped for economic role in Cuba and the future for areas in which functional co-operation has developed at a government to government level on issues from security to maritime delimitation. Although, Josh Earnest, the White House press secretary, has suggested that Mr Trump would have a hard time reversing a policy that has yielded US investments, a process he said that would be "much more complicated than just the stroke of a pen", others are not so sure. Already large companies in the US, and well as in other parts of the world, have begun to weigh the implications, with US groups that have been playing a growing economic role in Cuba in areas like aviation, hotels, telecommunications and food exports, preparing to lobby for the gains they say they have made. Companies in Europe also point out that if President Trump turns back the clock, all he will be doing is handing advantage to those countries and companies freed by détente to do deals on debt, investment, and trade. In this context, they suggest that the EU-Cuba framework Political Dialogue and Cooperation Agreement that is to be signed with Europe on December 12 will now be particularly significant, as will be the increased economic interest shown in recent months by countries like Japan and China. While it remains to be seen whether the ideologs on Cuba in the new US administration and in Congress pursue a transactional relationship with Havana, the most likely outcome of recent statements would seem to be a Cuba-led freeze in relations, significantly less future bilateral contact, and a more aggressive approach by the US Treasury to third country economic relations. While all of this is of interest in the wider world, the coincidence of Fidel Castro's passing, a Trump White House, and the near collapse of the Venezuelan economy, suggest that a bigger and more immediate challenge may be restoring the confidence of the Cuban people, to say nothing of the considerable energy that will now be required to find ways beyond exhortation to rekindle the optimism of the last two years. What Mr Trump's pronouncements on Cuba suggest, at the very least, is a period of uncertainty for a country where there is growing generational pressure for new socialist thinking about its future management.